Handcrafted Gorell Bay Windows will introduce more natural light into your home, expand your view of the outdoors, and make your room actually feel larger. Built to last for decades, these window additions provide a multitude of other benefits-including low maintenance, enhanced energy efficiency and home comfort, and a breathtaking appearance. You’ll appreciate the functionality and versatility of a Gorell bay window for years to come. Heavy-duty vinyl frames-with all corners fused together at high temperatures for extraordinary strength-have as many as 14 separate internal chambers to provide excellent insulation. PPG’s Intercept® warm-edge spacer system reduces energy loss through the glass. Stainless steel ‘constant force balancing’ (double-hung models) and engineered Truth® turn-handle systems (casement models) give you fingertip window operation. 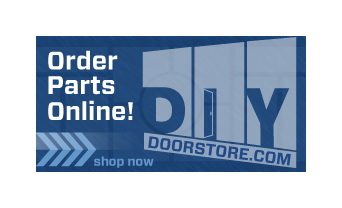 Heavy-duty, 1-1/4″-thick wood in the head, seat and jamb boards provides strength and durability. Elegant, handcrafted wood seatboards and trim-available in oak or birch-offer the look and feel of fine furniture. 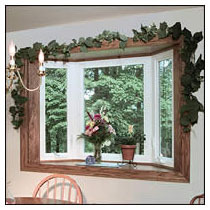 Patented scupper system prevents moisture from accumulating in the window frames by channeling it outside. Sealed insulation in the frames enhances thermal performance and makes your home more comfortable. GAF Weather Watch sealant prevents water penetration into your home. Unique, specially designed adjustable installation system virtually eliminates sagging-and the need for knee braces. Automotive-type window glazing creates a super-tight seal. 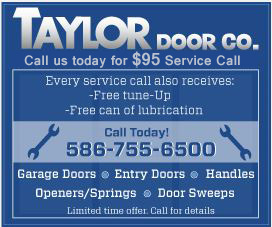 Contact Taylor Door Co. today to get started designing your custom window! We’re locked on quality!